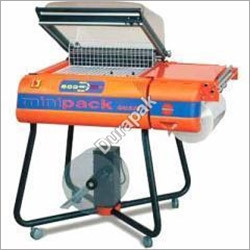 Having its base in Chennai, we are efficiently meeting the requirements of various industrial segments by offering a comprehensive range of Chamber Shrink Wrapping Machine for sale. We are known to be the most trusted manufacturer, exporter and supplier of the industry, assuring guaranteed quality to the customers at best market rate. We are fabricating four models of Shrink Chamber that provide optimum performance as well as are 100% reliable. The advanced control panel of our machines has 6 working programs that regulate sealing time in order to prevent the sealing blade from over-heating and fuming. We make us of best grade raw materials to manufacture our Shrink Chamber Machine, Chamber Shrink Wrapping Machine, and more. Further, the Shrink Chamber Machine has standard shrinking magnet and washable stainless steel lower chamber for hygienic packing of the food items.